Carob is considered an alternative to chocolate. 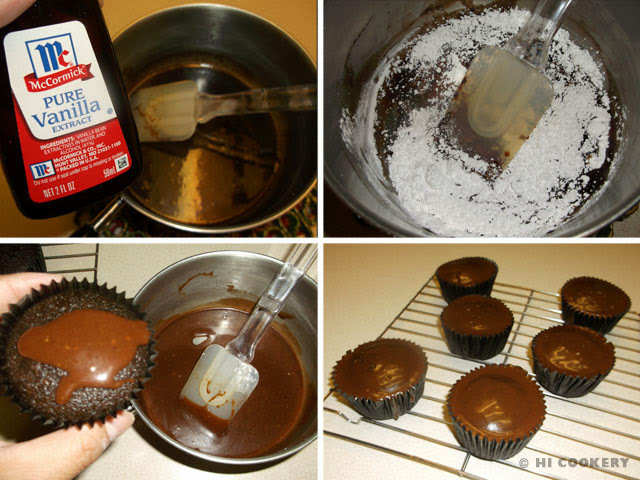 So out of curiosity, the skeptical chocoholics in us substituted cocoa for carob powder in a chocolate cupcake recipe. Everything looks like chocolate but the taste is…unique! 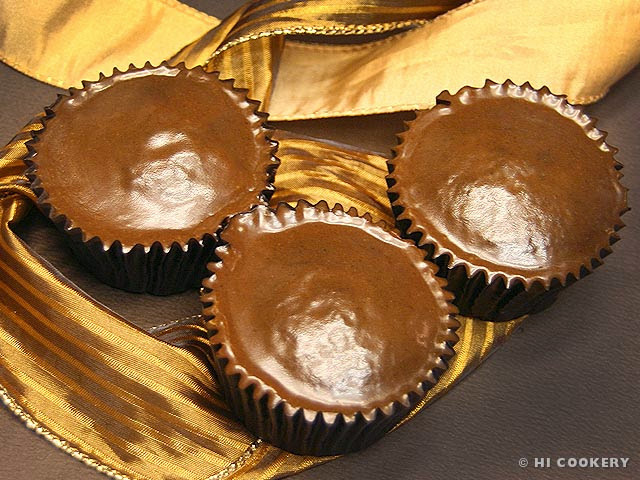 Carob cupcakes bake up moist but are not as sweet or as heavy as regular chocolate cupcakes. Whenever we serve them for dessert, our guests sometimes cannot taste the difference. So carob cupcakes do turn out to be a sweet surprise! Try baking something deliciously different and use carob instead of cocoa flavor on Chocolate Day. 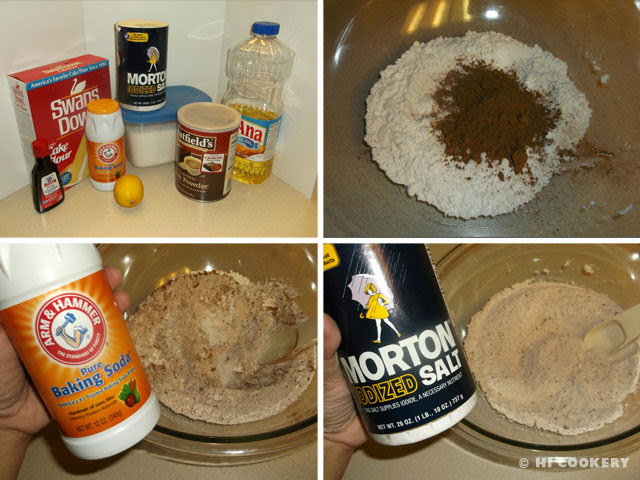 In a large bowl, combine the cake flour, carob powder, baking soda, salt and sugar. 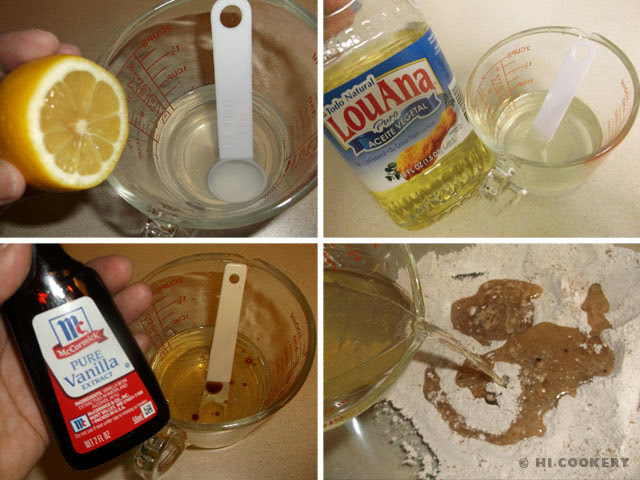 In a measuring cup or small bowl, mix together the lemon juice, vanilla, oil and water. Pour the wet ingredients into the dry mixture and blend well until smooth. 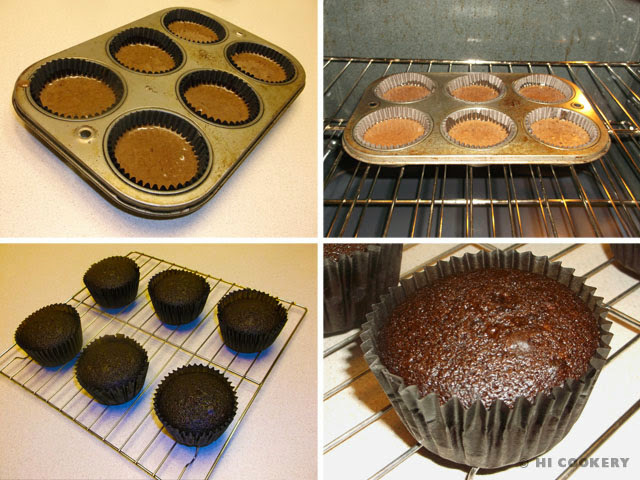 Scoop batter into cupcake papers lining a muffin tin. Bake in a preheated oven at 350 degrees F for 20-25 minutes, testing for doneness. Remove from the oven and cool completely before frosting with the carob glaze. 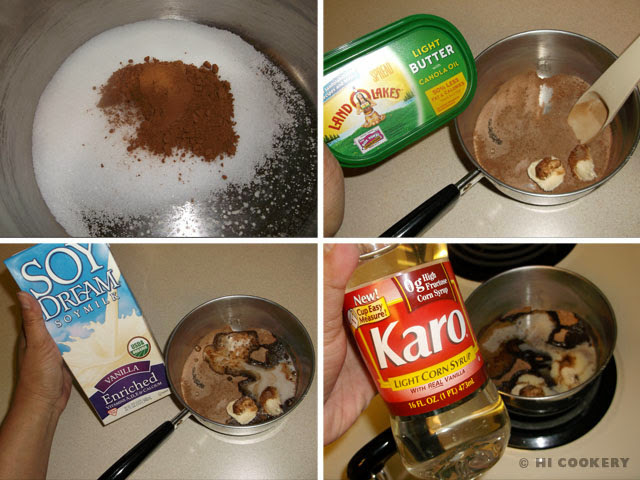 In a saucepan, combine the carob powder, sugar, margarine, soy milk and corn syrup. Simmer over low heat. Then stir in the vanilla and powdered sugar. Mix well until smooth. Remove from heat and cool slightly until spreadable but not too liquidy. Frost the carob cupcakes and cool completely. We halved the recipe above to feed just ourselves and another couple of friends for a simple after-dinner dessert. If not using cake flour, use regular all-purpose flour minus 3 tablespoons. Learn more about nutrition in carob vs. chocolate from LiveStrong.com. Carob is associated with St. John the Baptist. See the bread we baked on the feast day of his nativity on June 24. There are several chocolate holidays throughout the year. Search our blog for more chocolate recipes. These are utterly delicious. I have made them twice within a week. For the glaze, I left out the corn syrup and used regular milk and added some cornstarch. Thank you for posting this wonderful carob recipe. Glad you liked the carob cupcake recipe, Rupali. It’s a little different from chocolate than we’re used to but they are surprisingly good. Thanks for stopping by our blog and for suggesting substitutions in the ingredients.